Roasted Hazelnuts Covered in Dark Chocolate. This is where deep dark chocolate desire come from — and how it gets satisfied. Elegant chocolate highlights the sweet, and savory sea salt tops it off. No artificial colors or flavors. Roasted Hazelnuts Covered in Dark Chocolate. Simply decadent in a 4.5oz Bag. Ingredients: Dark chocolate (sugar, chocolate liquor, cocoa butter, milk fat, soy lecithin – an emulsifier, natural vanilla flavor), hazelnuts, sea salt, tapioca dextrin, confectioners glaze. Gave them out as simple “thank-you” giveaways. And it was a hit. It’s dark chocolate heaven. Perfect blend of chocolate and hazelnut with a touch of sea salt. 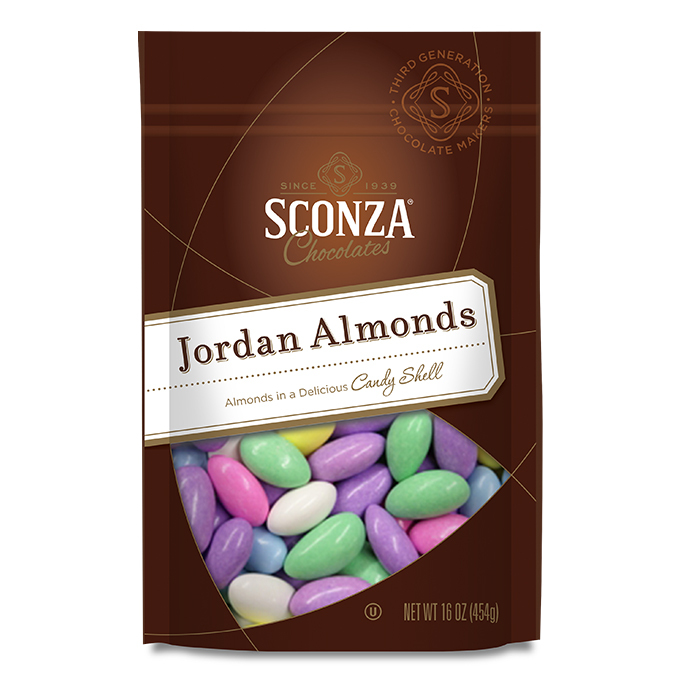 Excited to try the other Sconza Chocolates flavors. Delicious chocolate, with the perfect crunch and sweet and salty flavor. Delicious, fresh, and very tasty. Loved the product, thank you. 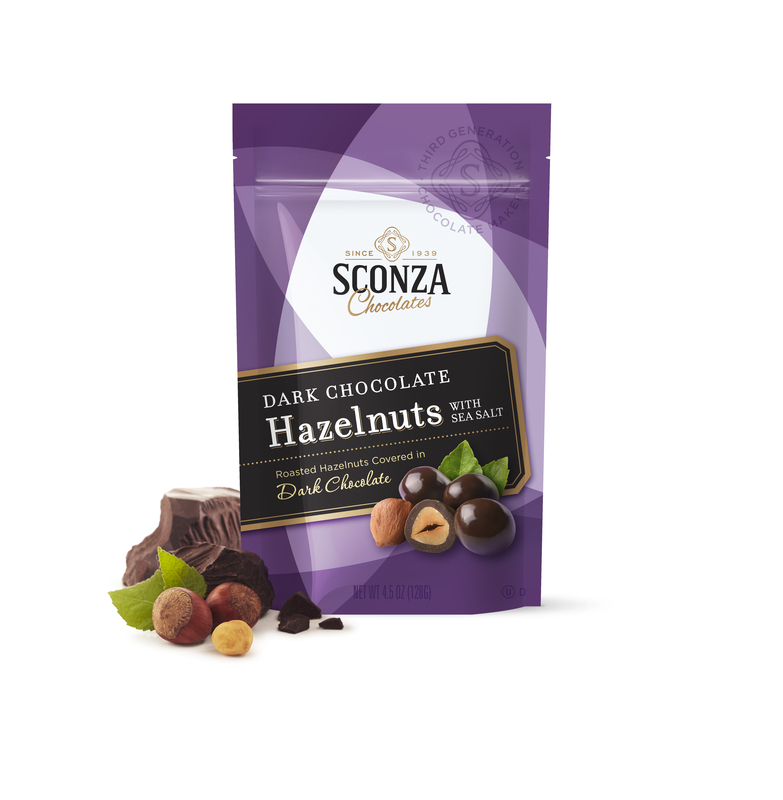 These are the best chocolate covered hazelnuts I have ever had!! Actually they may be the only ones I have ever had, but they are delicious! Ordering from the company was so easy. They gave a discount, free shipping and sent samples of their other chocolates. The packaging was remarkable with a styrofoam cooler and 2-3 icepacks to be sure the chocolates arrived without melting. Wonderful experience all around!